Is Priyanka Chopra Accountable For Indian Government’s Actions, Asks Pakistani Youth In His Epic Defense Of Fawad Khan! Open letter penned by an Indian Journalist, Soumyadipta Banerjeee, to Fawad Khan, in the wake of the Uri Attacks. 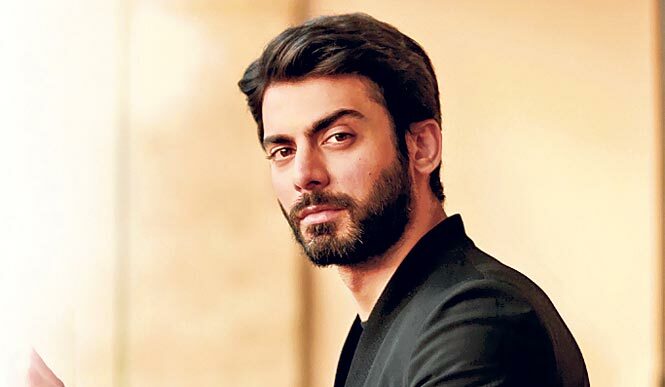 Unless you’ve been on a blissful sabbatical from social media, you must know that an open letter was penned by an Indian journalist, Soumyadipta Banerjee, to Fawad Khan, in the wake of the Uri attacks. It admonished the Pakistani actor for maintaining silence on terror attacks from Pakistan while continuing to bask in the adulation (and wealth) that India has been showered upon him. ...It’s convenient to pin-point a successful Fawad Khan (or your other options that include Mahira Khan, Rahat Fateh Ali Khan or Adnan Sami – all of whom have been duly hailed by your country), but not a failed Veena Malik or a Meera; who ran out of work in Bollywood as soon as they started since they couldn’t impress your audiences. That is the point exactly, Bollywood takes what sells. It isn’t doing any great service to the artists of my nation by hiring them out of pure sympathy. Just see the comments on the trailer of Ae Dil Hai Mushkil on YouTube, the people of your country are swooning over Fawad Khan so much that at places they even seem to over-shadow the lead of the movie. Producers are hiring Pakistani artists and paying them (something that you seem to mention quite often) because they are making money through them; it’s business, not altruism. Deepika Padukone didn’t become a superstar after landing a role opposite Vin Diesel; it was her credentials as a superstar that got her there. And I see no way how you can take the credit of his stardom for something as forgettable as Khoobsurat, a flick that was duly bashed by all your critics (“great films” you say, I reserve my comments). We also know that all Pakistani channels are banned in India, despite you agreeing that Pakistani serials are way better than Indian ones. Here you might be surprised to learn that every single Pakistani channel buys Indian content and plays it on our channels, despite Indian channels also airing in most parts of the country. All your excruciating daily soaps (and God knows those things are liable to be banned only due to the sheer insanity they portray) are actually bought by Pakistan just as your films are. We are not just welcoming to your content, but also a revenue-generating market for you. So kindly cut us some slack, and do the math! You talk about piracy as if Pakistan has a monopoly on it. Sorry to burst your bubble, but it’s an international issue. You should remember Udta Punjab as we remember Jawani Phir Nahi Aani, both films pirated in the very country they were made by. How would you feel if Hollywood starts seeking an apology from Priyanka Chopra every time an Indian is lynched for eating beef in your country? It’s not the job of artists to do what politicians are supposed to do. As Kamila Shamsie puts it, let’s not shift this burden from the shoulders of those responsible even one inch to those already engaging in exchange of culture and good-will. ...If there’s an equation of the cultural exchange between our countries, the balance shifts overwhelmingly in favour of Pakistan. We watch your films, telecast your shows, and listen to your songs; we know a lot more about your country that you have ever known about us. Your ignorance about us is what leads to you writing apparent love letters full of hatred to the likes of Fawad Khan. ...Do visit Pakistan someday, please, to let go of the sheer bias you have against us. I, along with most other Pakistanis, will be very happy to show you around. And I promise, we won’t even consistently remind you of how much we’ve spent on you! PS: Fawad Khan is from Lahore, not Karachi.